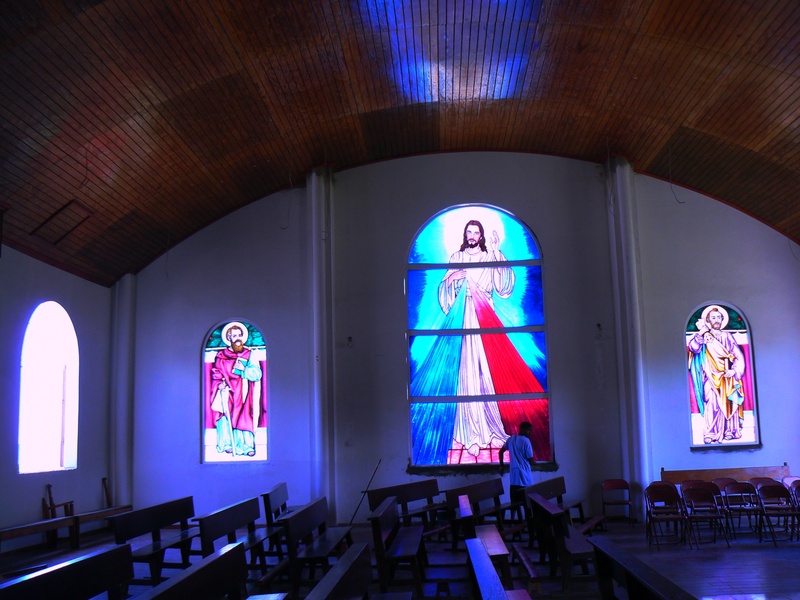 This entry was posted in buildings in progress, CALIBISHIE CHAPEL, design by Bernard Lauwyck, SUNDAY MASS at 9.30 am and tagged CALIBISHIE chapel, Divine Mercy, Sts Peter and Paul chapel on October 9, 2014 by Bernard Lauwyck. 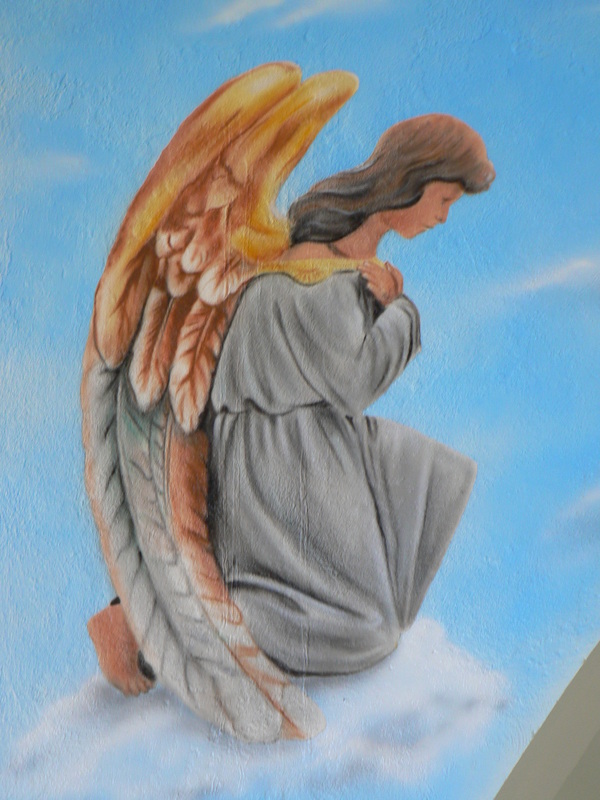 The artist Mr. Caesar Catin did an excellent job on the painting of the mural with angels adoring the Blessed Sacrament. My dream, design and proposal became reality by the persistence of Fr. Conan Shillingford. This is the kind of artwork we need in our churches and chapels. 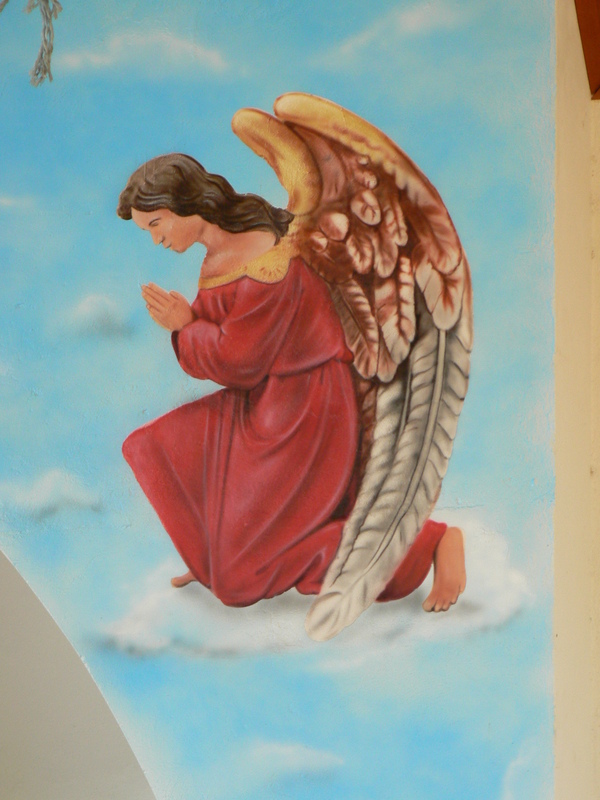 This entry was posted in buildings in progress, CALIBISHIE CHAPEL, SUNDAY MASS at 9.30 am and tagged Caesar Catin, CALIBISHIE chapel, Sts Peter and Paul on September 24, 2014 by Bernard Lauwyck. 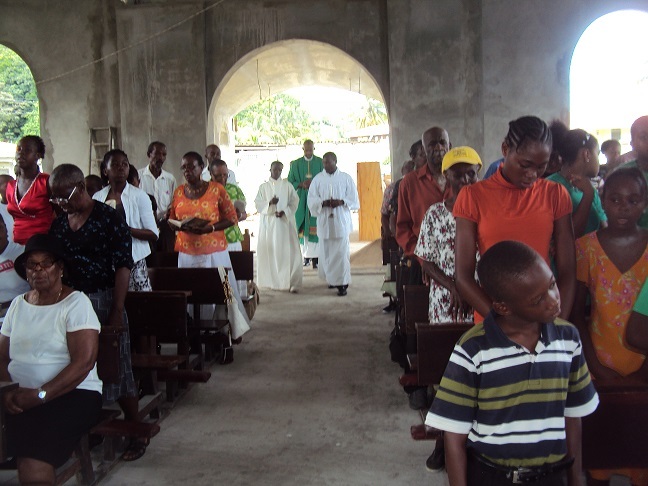 Since the destruction caused by hurricane DEAN in 2007, the Catholics in Calibishie have been without a proper Place of Worship. They are like the Israelites wandering in the desert. First they were allowed to use the government school for Sunday Mass. This was declared unsafe some time ago. 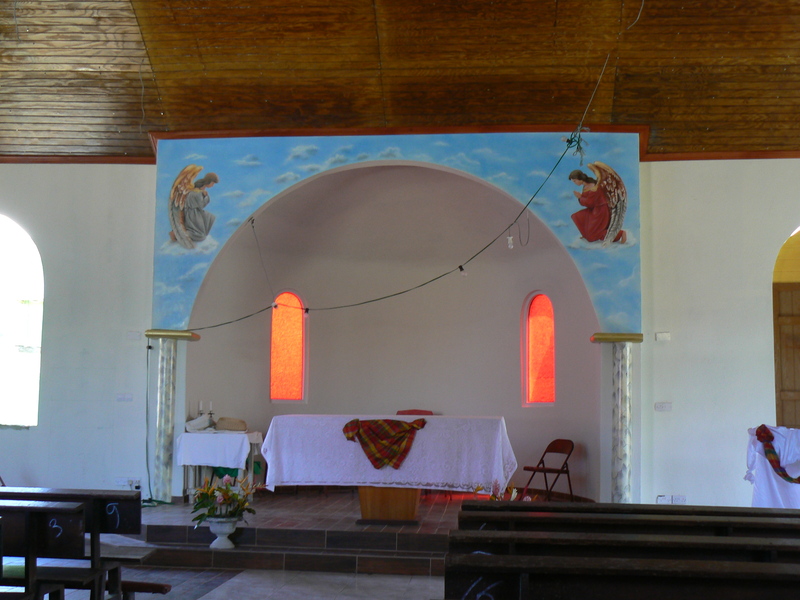 Then they move to a former disco in expectation that their new chapel would be built. 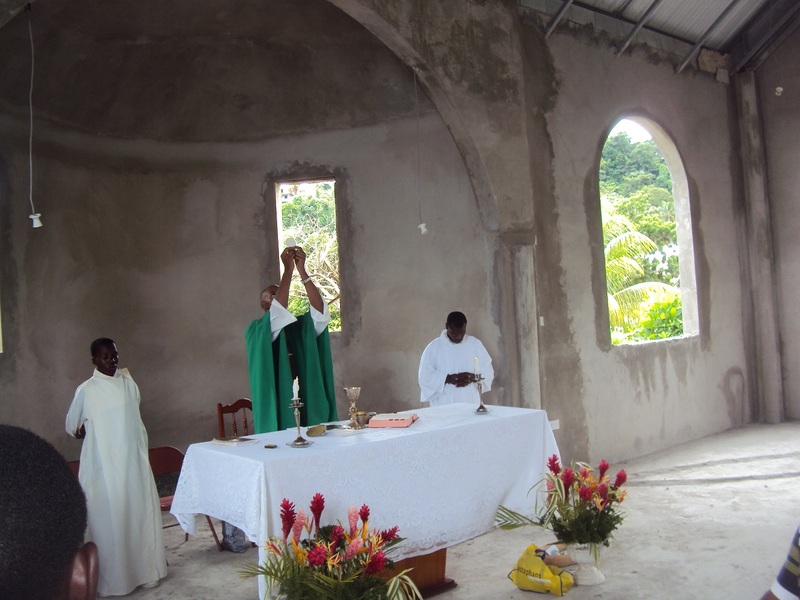 In August 2012, after much fundraising, delays and prayers, the new chapel was finally started. In January 2013, several days of voluntary labour (cou-de-main) completed the concrete floor and the walls. As soon they were able, the people moved in and Sunday Eucharist celebrations has now been taken place in the unfinished chapel building. 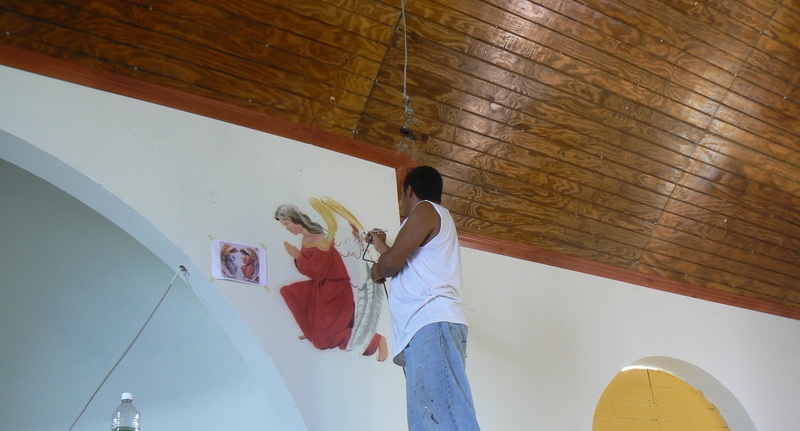 We admire the dedication , patience and determination of the Catholics in Calibishie. 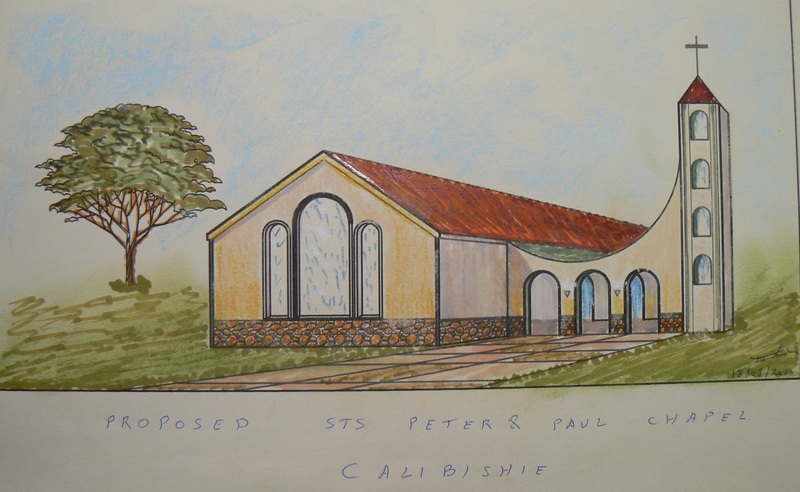 This entry was posted in buildings in progress, CALIBISHIE CHAPEL, design by Bernard Lauwyck, SUNDAY MASS at 9.30 am and tagged CALIBISHIE chapel, chapels under construction on September 16, 2014 by Bernard Lauwyck.